Online Presence Builders launched a new E-Commerce website for the Bossier City Chamber of Commerce in WordPress, reformatting the design into a more user-friendly concept. 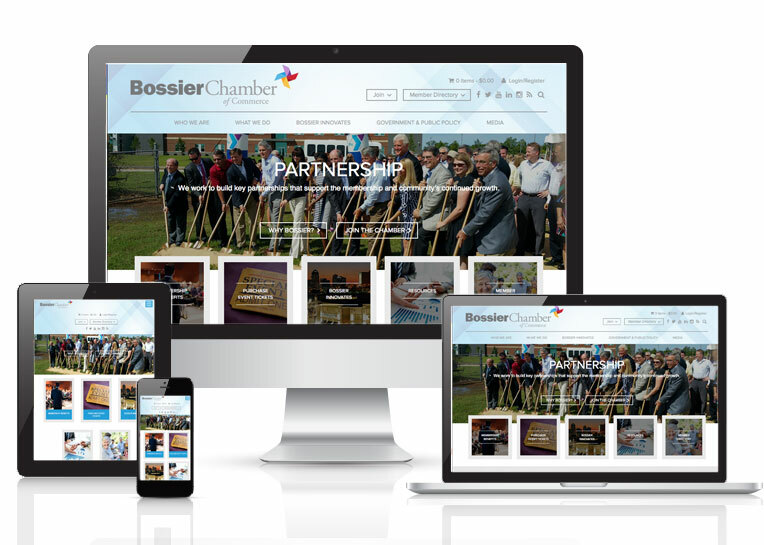 In the design process, Online Presence Builders implemented a valuable content strategy that enables search engines to better find and rank the site- ultimately bringing more traffic to the site and more business conversions to the Bossier Chamber. The Bossier Chamber Connects Business to Business. The Chamber works strategically to strengthen and enhance the business climate and provides a partnership with a purpose. We are a business network and membership organization comprised of 900+ members, across seven states in 30 cities, and represent 60,000 employees throughout the region. Online Presence Builders creates beautiful and easy to navigate websites. More importantly, we build sites that can easily be found by your target audience.